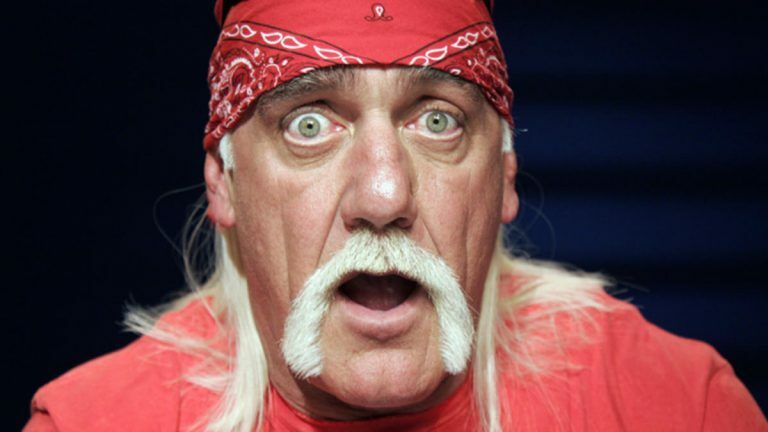 Late last night, it appeared that WWE have completely erased all traces of Hulk Hogan from their brand. All mentions of his name have disappeared from their website, including his Hall of Fame page, and all his related merchandise has been removed from sale. WWE web site told a few hours ago to remove all references to him. That's all I know so far. In addition, the wrestling legend has also been removed from the panel for the sixth season of Tough Enough, which is scheduled to go on air again on Tuesday, so it will be interesting to see how WWE replace him and who with and if they even acknowledge it on the show. Most unfortunate of all, Curtis Axel’s Axelmania gimmick will have to be canned. What did the geriatric grappler do to deserve his legacy being erased? According to reports, WWE have taken the preemptive steps to remove all traces of Hogan before an audio recording of a racist tirade leaks to the web. The reports are so far unconfirmed but considering the lengths the company has gone to already, it’s almost certainly going to be the case. The wrestler has posted one cryptic tweet since the furore began. It won’t be the first controversy has been embroiled in during his long career. Let’s just hope that what’s happened is properly acknowledged by top brass instead of being paved over, as is there favourite hobby.